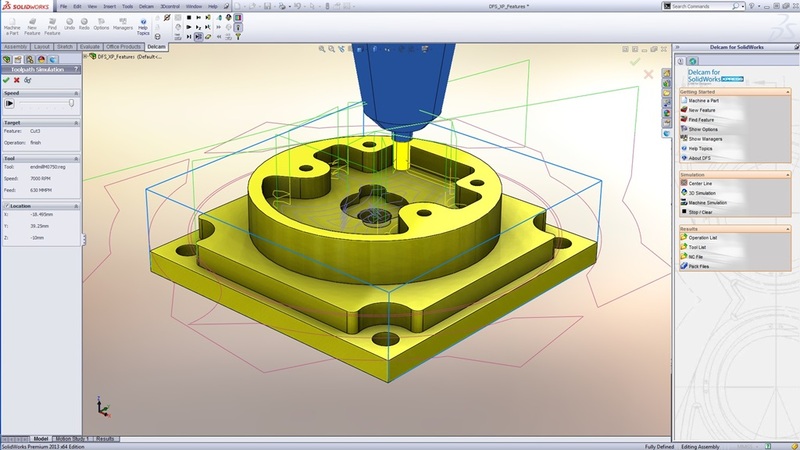 Today Delcam released a free version of “Delcam for SolidWorks“, their certified gold CAM system for SolidWorks. Its called “Delcam for SolidWorks XPRESS”. The product comes with basic 2D milling and drilling functionality. So it will be useful on prismatic parts. It could be a good resource for people new to CAM or those whose CAM needs aren’t too fancy. A good place to start learning would be these tutorials. Just like the paid version Delcam for SolidWorks EXPRESS is an add-in to SolidWorks and maintains associativity with the SolidWorks model. So when you make changes in the model the tool paths are adjusted automatically. This video does a decent job explaining the capabilities of the free product. You can download your free copy of Delcam for SolidWorks XPRESS from here.